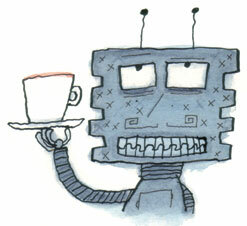 Behind the jokes and café banter inherent in the Puccino's brand is a very important message, discovers Rachel Spaul. By embracing the Puccino's philosophy and proven business system you can become the owner of a highly rewarding business supported by a dedicated and friendly team. LIKE a breath of fresh air with a faint hint of speciality coffee, Puccino's breezed onto the franchising scene in 1995 committed to delivering quality products and service with a free smile. Its quirky image and philosophy - 'Service is our pleasure' - has differentiated the brand from competitors and assisted the development of more than 100 Espresso Bars, Deli Bars and Café Bars in Italy, the UK and Ireland. With three investment levels available ranging from approximately €50,000 to €140,000, depending on size and location, there's something to suit every depth of pocket and ambition. Puccino's Espresso Bar Kiosks cater for people on the move in busy stations, while the Puccino's High Street Deli Bar targets 'working humans' looking for a fresh coffee or pastry to take away. 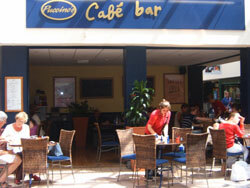 The third option, Puccino's High Street Café Bars, are fully licensed restaurant coffee bars with a continental feel. More opportunities exist throughout Ireland for ambitious and enthusiastic individuals who love serving people to join in the fun at Puccino's. 'Quite simply, we are looking for owner operators who have personality, a passion for what they do, are not afraid of hard work and have realistic expectations,' says Alastair. Thanks to a decade of experience you will have the security of knowing the concept is tried and tested throughout the UK and finetuned in Ireland to suit Irish tastes. In addition, you will have the support of a team dedicated to helping you prior to opening, during opening, and ongoing as your business grows. If you want a bite of this oversized croissant call today for an initial discussion and join in the fun at Puccino's. Puccino's is a successful Italian style café bar company. We're looking for people in Northern Ireland and the Republic of Ireland who want to run their own franchises. All we need from you is hard work, a great personality and a passion for customer service. We'll teach you the rest.